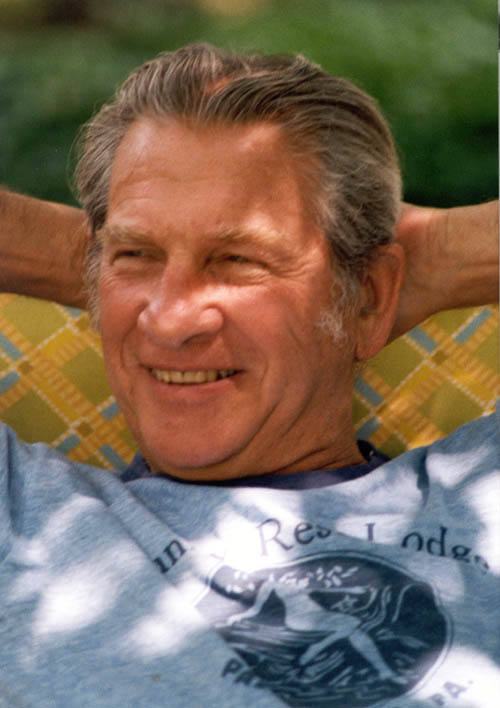 Louis Arnold Wikler was a great father, a great teacher, and a great friend. He was, and always will be, my hero. He was present at the moment of my birth and was there for me forever after. He never let me down. When I was little, he worked long hours, often seven days a week; but he always had time to talk with me, cuddle me, and calm my fears. When I was grown, he continued to be my teacher, my mentor, my role model, and my friend. Lou Wikler was born in Philadelphia, Pennsylvania to Isadore Wikler and Minnie Girer Wikler. As a child, he excelled in school. Although the loss of his mother to tuberculosis when he was seven and his father’s subsequent remarriage to a woman who had no love for her stepchildren made things hard, Lou’s gentle good nature and generosity of spirit never faltered. While still a young boy, Lou saved what little money he was able to earn in order to buy a bicycle for his brother Milton. 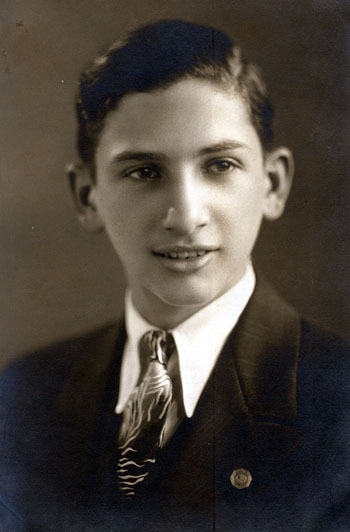 A brilliant student, Lou graduated from Central High School in Philadelphia and went on to the University of Pennsylvania. His academic record was stellar; but of all his college achievements, Lou was proudest of having earned a varsity letter for playing on the lightweight football team. After graduating from Penn, he went on to Jefferson Medical College, where he was awarded his medical degree in 1937. Dad was inspired at a young age to become a doctor. During the hard years following the loss of his mother, young Louie grew thin and pale. His father Izzy took him to a prominent physician who decided without examining him that the boy had tuberculosis like his mother and recommended that he be put in a sanatorium. Not satisfied, his father took him to a young doctor who had just started medical practice. This man examined the boy thoroughly. “There’s nothing wrong with him that a little fresh air and good food won’t cure,” said the doctor. Izzy sent Louie to the country for the summer, boarding him with a farmer and his family. Louie recovered his health entirely and decided that when he grew up he, too, would be a doctor – not a fancy doctor like the one who had not taken the time to look at him, but a people’s doctor who would help anyone in need. He kept that commitment all his life. I remember people coming to our house with gifts of lasagna because Dad had treated them and not charged them for his services. Lou Wikler was a man of courage. 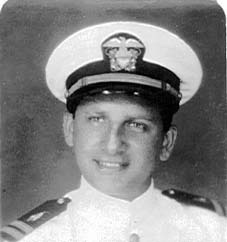 He joined the Navy shortly after the bombing of Pearl Harbor and experienced years of heavy combat at sea on the U.S.S. Barry (DD-248), a World War I destroyer put back into service during World War II to sink submarines. Lou earned three combat stars and was awarded a Presidential Unit Citation for outstanding performance in the Battle of the North Atlantic, a major Allied victory that broke the back of the German submarine warfare. In May 1942, Lou married Elinor Una Schloss. Their first child, Judy, was born in 1943 while he was at sea. By the time I was born in January 1946, he was stationed in Florida. Soon thereafter, Dad was discharged from active duty and we moved back to Philadelphia, settling in Abington, Pennsylvania, where my sister Joan was born in 1949. Lou was a wonderful father. Once, as a young child, I asked him, “What is the number where you stop counting?” He said, “There is no number where you stop counting. You can always add one more.” I said, “I don’t believe it. There has to be an end.” He said, “OK; let’s count.” So every day for weeks, we counted, until finally I understood. I will always remember that, not only because he helped me discover something important, but because he took the time and effort to work with me and help me learn. Daddy could fix anything with adhesive tape and tongue depressors. I still have dolls that he repaired. I believed that he could fix anything that was wrong with anyone, and for the most part, he did. He was a great listener, a great doctor, and a great healer. He was the best diagnostician I ever met. Most of the time Dad could tell what was wrong with people simply by looking and listening. He healed the mind and the spirit as well as the body. He had a way of listening to you – really listening -- and knowing exactly what to say or do to help you figure things out or feel better or know what to do. When we moved to Abington in 1946, it was a small town, and we were one of only two Jewish families. Some people were wary of us at first; but they soon came to appreciate my father’s dedication and professional skill and his extraordinary personal charm. While maintaining a busy private practice, Dad also acted as police surgeon in Abington for many years. I remember him dashing off on police calls at every hour of the day and night. Often he had to decide whether a death was natural or suspicious. Once he had to be lowered into a ditch to treat someone trapped inside a mangled car. He loved the police work, and the police loved him. Dad loved and understood children. He was gentle and kind, but never a pushover. He taught us to respect him, to respect others, and to respect ourselves. He was warm and affectionate, tall and handsome, with a twinkle in his eyes. He was a great son to his father and was kind, generous, and caring, not only to me, my mother, and my sisters, but to everyone in his life – brothers and sisters, nieces, nephews, grandchildren and great-grandchildren, patients, and friends. He had the soul of an artist, the intellect of a scientist, the wonder of a child, and a heart with an endless capacity to love. He was a loyal supporter of Israel, and a generous contributor to many charitable causes. Dad helped me with my homework, showed me how to function effectively in the world, and taught me most of the practical skills I use today. He took me to parks, historic places, and museums. Once we bought a model ship, took it home, and put it together. He taught me to skip stones in a stream. He taught me to dive under waves in the ocean. He taught me to care for my body and my spirit. He taught me to dance. He had a wonderful sense of humor. In the late 1950s we got a sandy-colored, shaggy mongrel dog named George. Dad had always wanted a son (he had three daughters), and on one level George became the son he had never had. For awhile, Dad kept George in the office with him (Dad’s office was a separate section in the front of our house.) Once, a new patient came to consult my father, thinking she might have broken her arm. Dad examined her and said, “No, I don’t think it’s broken, but I’d like my associate’s opinion.” He went to the door and called, “George! Will you please come in?” In came George, wagging his tail. Dad said, “George, would you please look at this arm and give me your opinion?” George walked over and smelled the arm, then looked up at my father and wagged his tail. “No, George doesn’t think it’s broken, either,” said Dad. Dad had a great zest for life. Sometimes, our family would go on a Caribbean cruise in the winter. He loved the sea, and being on a cruise was one of the only ways he could get away from the telephone. On board the ship, or in port, he would totally relax. These were wonderful times for all of us – warm days at sea, exciting excursions on shore, dancing at night under the stars. We also had great times in the summer at the beach. 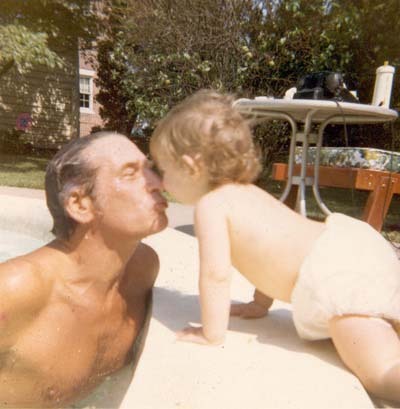 Later, Dad had a swimming pool built in the back yard. 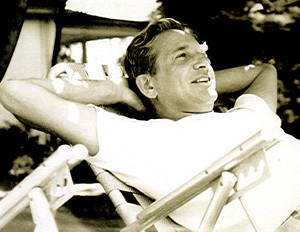 He swam regularly in the summer, and he loved sitting under the magnolia tree with family and friends looking out at the pool in the spring, summer, and fall. Although medicine was central to his life, he was a man of many interests. He knew more about history than anyone else I ever knew. He loved to read and to travel. He was not religious in a formal sense, but he was deeply spiritual. He had an irrepressible love of life, a lively curiosity, and an ever-present enthusiasm and buoyancy of spirit. Dad never stopped learning and growing. At the age of 86, he was surfing the World Wide Web and sending electronic greeting cards to his children, grandchildren, and great-grandchildren over the Internet.